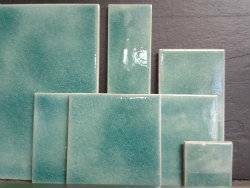 Our NEW elegant Celadon glaze …in any size . Glaze swatch above shows all the available background colours & plain tile colours. 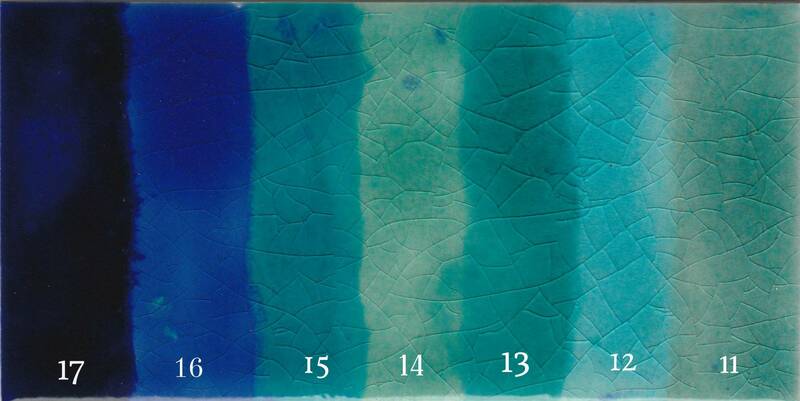 ( Numbers relate to sample colour sheet available with glaze swatches). Colours do vary depending on your screen – blues are quite tricky to accurately photo !